In 2011, Schola Cantorum introduced a Conducting Scholarship, to be awarded annually to an exceptional young musician who shows great promise in the art of choral conducting. The Conducting Scholar has the opportunity to observe and assist the conductor in the musical development and preparation of the choir, including programming and rehearsing, and also receives an annual honorarium, regular podium time under the supervision of the conductor and, where appropriate, performance opportunities with the choir. The Conducting Scholar also attends auditions for singers, and has the opportunity to take part in the Choir Committee and Trustees meetings. "The conducting scholarship was an incredibly challenging and rewarding experience. Jamie was keen to push me outside my comfort zone, encouraging me to question my intention and gestural synchronization, and willing to let me try out different approaches with the choir. 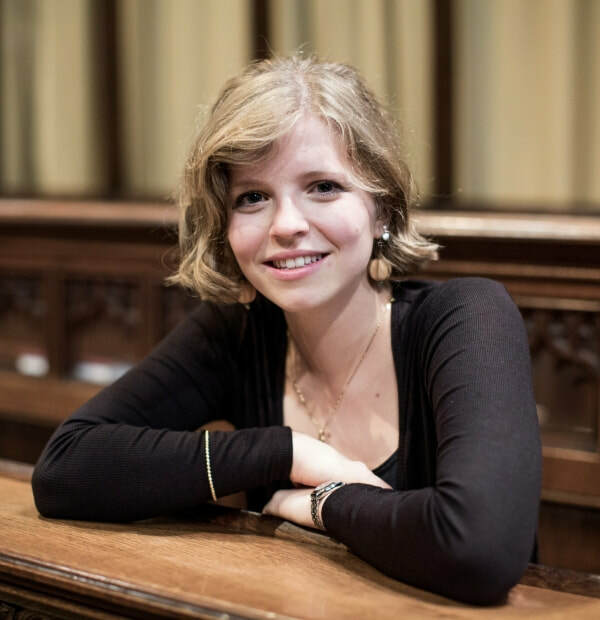 This regular and instant feedback in a ‘masterclass-type’ environment is for me what makes the scholarship such a rare and extremely valuable experience, as you’re able to work with musicians on a regular basis​ "
Charlotte is a first year undergraduate music student at Hertford College Oxford, where she is also one of two Organ Scholars. Alongside her degree, her duties involve directing and conducting the college chapel choir on a weekly basis, as well as managing the choir’s administration. She is also Assistant-Conductor to the Oxford University Wind Orchestra, Vice-President of the Hertford College Music Society and director of the Hertford College Quintet. As an active vocalist, Charlotte has also made her Oxford operatic debut in Stravinsky’s The Rake’s Progress (New Chamber Opera) and as a mezzo soloist in David Lang’s Little Match Girl Passion (Untune the Sky). ​Aside from conducting and singing, Charlotte’s primary musical interests lie in education and outreach. 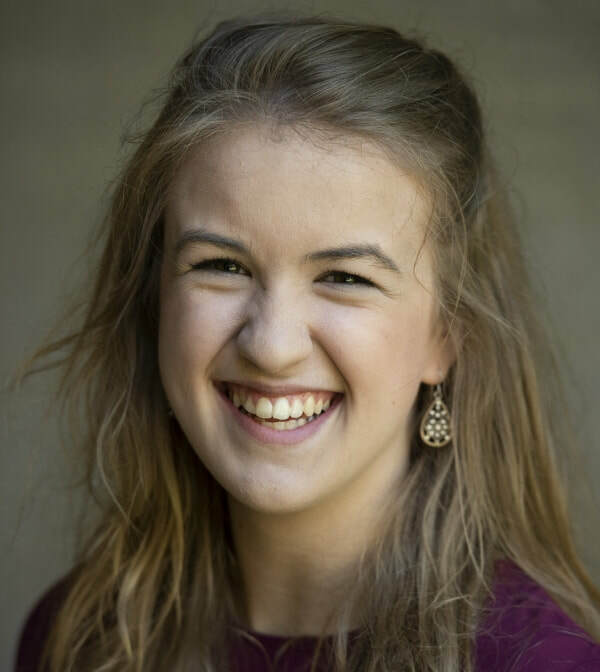 She sang as a chorister with the Gloucester Cathedral Youth Choir, where she was also appointed the cathedral’s inaugural Junior Organ Scholar. During her sixth-from years she formed, managed and arranged for her own 8-part close harmony group, ‘The Grammatones’, which she lead to the finals of the National Music for Youth Festival in Birmingham Symphony Hall 2017. The group has since gone on win first prize in choral ensembles at the Cheltenham Music Festival, and performs regularly for charity fundraisers across the South-West. Upon leaving sixth-form, Charlotte was appointed gap-year Organ Scholar at Sherborne School and Abbey in Dorset. Whilst working with the students and staff at Sherborne, she achieved distinction in her DipARBRSM examination as soprano. During her first term at Oxford, she was elected Secretary of the Oxford Opera Society, and is currently one third of an executive committee focused on increasing operatic accessibility and exposure to university students. She studies conducting with Sarah Tenant-Flowers (Advanced Choral Conducting Tutor: Royal Welsh College of Music & Drama), and singing with Carys Lane. Born in Singapore, John is a second year undergraduate music student at St Catherine’s College, Oxford. As a singer, he has studied with Justin Lavender, Bronwen Mills and Toh Ban Sheng. In his time at Oxford, he debuted as Superintendent Budd in Britten’s Albert Herring, and performed as soloist in Haydn’s Creation (Oxford University Chorus) and Bach’s Ich habe genug (New Chamber Opera, Oxford). John has also premiered several works, including a long lost George Butterworth song on BBC Radio 3 in 2016 (then recently discovered by the Bodleian library), as well as Chester Biscardi’s Broken Stars That Go Dark (world premiere) in 2017. John was recently selected to be part of the prestigious 2017-18 Genesis Sixteen programme, The Sixteen’s young artists scheme, and has sung with the Holywell Consort and the Chapel Choir of Queen’s College, among others. 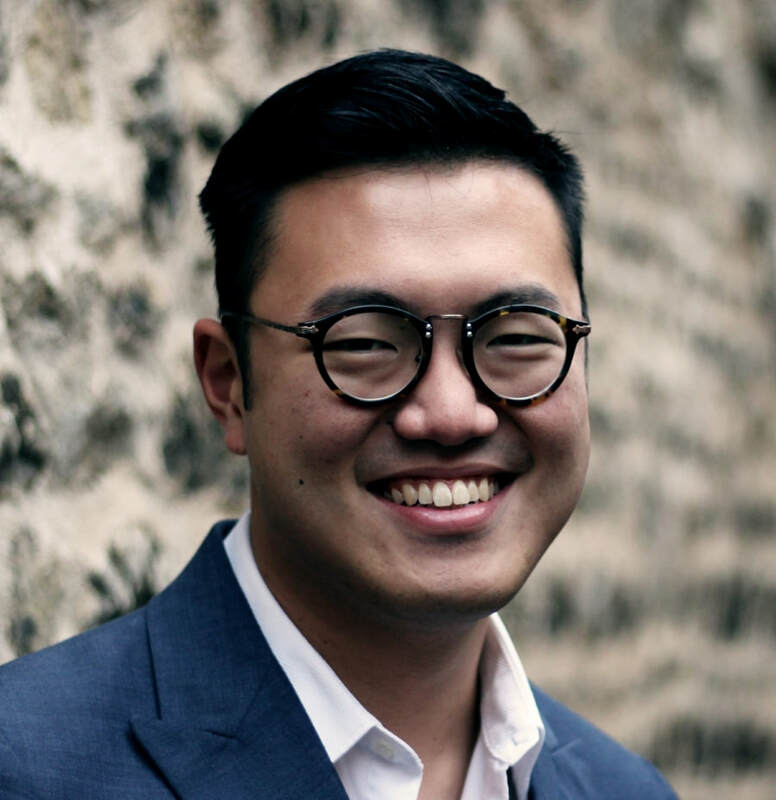 He received choral conducting training from the Voces Academy Musical Leadership Programme, Oxford, and has conducted choirs both in Singapore and in the UK. A pianist from the age of four, John performed in four ABRSM Top Scorers’ Concerts (Singapore) for his Grade 5, 7 and 8 piano examinations, and his Grade 6 cello examination, after which he gained his ATCL and LTCL piano diplomas with distinction. He was a prizewinner and finalist in piano competitions in Tokyo, Bangkok and Singapore, and has performed in Carnegie Hall and the Sydney Opera House as Principal Cellist of the Raffles Institution String Ensemble. More recently, his piece Nunc Dimittis received its world premiere in Singapore by the award-winning Raffles Singers. It has since been sung at the 11th World Symposium on Choral Music in Barcelona in July, 2017. "​The conducting scholarship with Schola is a unique experience for young conductors at university in that it provides an opportunity to work with an ensemble that is not only filled with talented singers, but that is usually being whipped into fantastic shape by a professional conductor. Working with such responsive singers has really drawn attention to all the conducting habits that are so easy to pick up and can go unnoticed until they begin to illicit unwanted results! The singers are also so warm and encouraging which helps to bring the best out of the conducting scholar on the podium. Jamie provided not only technical support but career advice and his mentoring prioritised the musical reason for every piece of direction. This focus on the musical basis for every gesture gave me confidence in my own musicality and created a space where I was not only free to pursue my ideas, but where I had to. The supportive and creative environment of Schola was the perfect place for me to pursue repertoire I loved, experiment (and make mistakes), and hold myself to as high a standard as possible in the knowledge that the choir was behind me." "The conducting scholarship with Schola has been an incredibly challenging and rewarding experience. Whilst I was already familiar with the choral discipline, the prospect of leading such a talented group of singers was certainly daunting at first. With the ability of a choir like Schola, you are forced to think beyond the simpler levels of the notes, and I was able to grapple with fine tuning and the music’s artistic details, whilst working on my gesture. When given the chance to conduct the choir, Jamie was keen to push me outside my comfort zone, encouraging me to question my intention and gestural synchronization, and willing to let me try out different approaches. With such a responsive group of singers, any gestural work was immediately apparent. This regular and instant feedback in a ‘masterclass-type’ environment is for me what makes the scholarship such a rare and extremely valuable experience, as you’re able to work with musicians on a regular basis. Whilst gaining confidence in front of a group of singers was hugely useful, the scholarship is not simply about podium time, and outside of rehearsal time Jamie assumes his role as a mentor and is on hand to offer guidance in a more holistic and informal way. Over the year he has offered me valuable advice and contacts which will help me move forward with my musical ambitions." "The conducting scholarship has been a rare opportunity for artistic and personal growth. Conducting a choir as amazing as Schola comes with several perks: the singers’ responsiveness provides instant feedback on my gestures, I have the opportunity to conduct challenging repertoire in concert, and I can dive immediately into the music’s artistic details rather than dwelling on note errors. Leading my talented peers, a notion I admittedly found daunting at first, has helped me to develop the strength to stay focused and grounded outside of my comfort zone; the wonderful supportiveness of both Jamie and the singers has made this much easier. Jamie has been an incisive guide on matters ranging from conducting technique to career issues. He has generously opened his professional life to me, giving me access to his rehearsals with other ensembles, where he has been keen to introduce me to new contacts. More than anything else, I have learned from Jamie’s example: his direct and spontaneous way of communicating with the singers, both through word and gesture, reminds me to be not only a clever technician, but also, more fundamentally, an artist, always searching for and revealing the music’s humanity." "There are only a handful of choirs that maintain the high standards of Schola, and as a result this scholarship was an extraordinarily exciting and musically challenging programme for me as a conductor. I still today draw on the things I learned from observing Jamie in rehearsal, and from the valuable and instant feedback I’d get when I was conducting. It’s one of the best opportunities worldwide for a young choral conductor, and I’d recommend it to anyone. "​It is one thing to theorize about conducting, and another to put it into practice - this is why having a great mentor and quality podium time is absolutely invaluable for all budding choral conductors. You will get both as a conducting scholar at Schola, and working with singers of such a high calibre can unlock another level in your conducting altogether. It was a real priveledge to be part of this wonderful group of musicians and to have Jamie as a mentor. "I had an incredible year being Schola Cantorum of Oxford’s first Conducting Scholar in 2011-2012. Not only did the post develop my musicianship, knowledge and experience, it also gave me a great amount of confidence in working with singers of a high musical standard that I simply would not have been able to gain elsewhere in Oxford in such a short time. It was also invaluable to gain advice from a professional conductor of Jamie’s standing, and I intend to take everything I gained from the post forward in my future work and study as a choral conductor."